Only in the world of folk music could you imagine the staff at one of the liveliest, smokiest and most famous music pubs in Britain making a space at the end of the bar so that an eight year old child could get the best view of the singers and musicians. 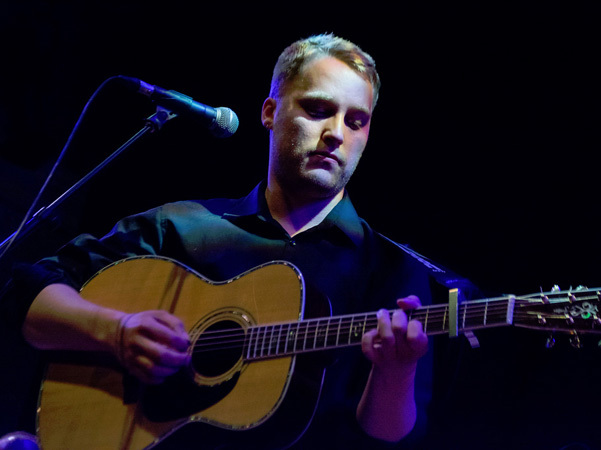 But that was the experience in legendary bar Sandy Bell’s of Edinburgh singer/songwriter Adam Holmes, who now at the age of twenty-one has been a Celtic Connections Young Traditional Musician finalist, BBC Radio 2 Folk Award nominee and Scottish Traditional Music Award winner. With his band The Embers he combines the songwriting influences of artists such as John Martyn, Bon Iver, James Taylor and Townes Van Zandt with the rhythm and blues, country and folk music textures of The Band, Neil Young and Ryan Adams and The Cardinals to play his own unique brand of Americana, with a hint of Scotland. Debut album Heirs and Graces featuring The Embers, Kris Drever, Hannah Beaton, Alan Train and Stuart Goodall was released on the 17/01/2014. With radio airplay, live sessions, sold out gigs throughout the UK, music press attention and interest from a number of the UK music industry’s most prominent movers and shakers it’s safe to say... It’s all happening.